Here are the jail plans that were approved by the Pickett County Commission on August 21st. 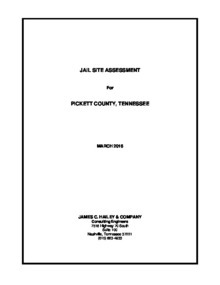 Here is the full Jail Site assessment reports for the properties recommended by the Pickett County Correction Partnership Committee. This report was completed in March 2016. Here is the full CTAS Jail Needs Report that was completed on 4/13/2016. 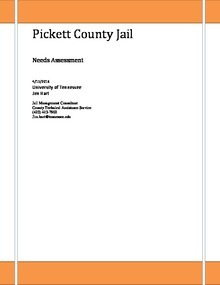 Download "Jail Needs Assessment Report Revision (1).pdf"